Are you an AWS user looking to accelerate time to market? Lower costs? Or avoid painful mistakes as you migrate your applications to the Cloud? If you answered “yes” to one or all of the above, then this guide is for you. It offers everything you need to get started improving the performance of your AWS applications with end-to-end monitoring from New Relic. 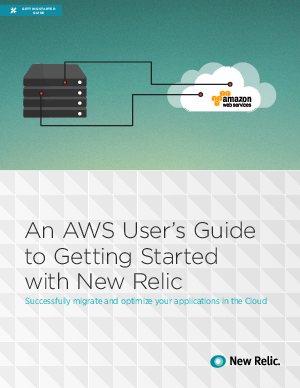 From instructions for installing the agent, a basic feature overview, to AWS best practices, this guide is full of useful information for New Relic newbies. Although we recommend installing New Relic early on to monitor and ensure the success of your cloud migration, it’s never too late to get better visibility into your application environment. So let’s get started exploring everything that New Relic can do for you.